15 days after winning the 2015 NBA championship, Golden State Warriors forward Draymond Green currently finds himself among the most sought-after players during the NBA's free agency period. In addition to being a defensive stalwart, capable of guarding all five positions on the floor, last season, the Michigan State alum averaged 11.7 points, 8.2 rebounds and 3.7 assists a game. 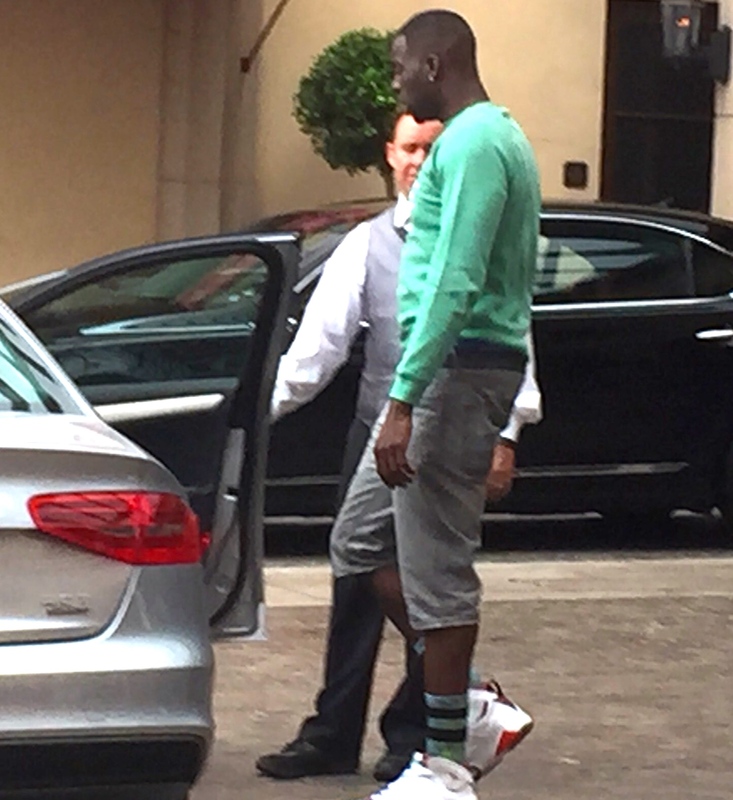 Wednesday, per the above iFolloSports.com original photo, Green was seen entering an Audi A4, outside of the Montage Beverly Hills hotel. Earlier in the day, it was reported that Green (a restricted free agent) and the Warriors had encountered a temporary impasse, amid each side's effort to ink a long-term contract. UPDATE: Green and the Warriors have come to terms on a five-year/$85 million deal.